Eminent Law professor Dr. Venkateshwara Subramaniam Mani, has passed away today. Prof. Mani, who has been an expert in the field of public international law, was the founder Director of Gujarat National Law University and the Seedling School of Law and Governance, Jaipur National University, Rajasthan. He had appeared before the International Court of Justice as agent and counsel on several occasions. He was Legal Advisor to the Government of the Republic of Nauru in 1981-83 and again in 1985-90. He was directly involved in organising Nauru’s case against Australia before the International Court of Justice (1986–93). 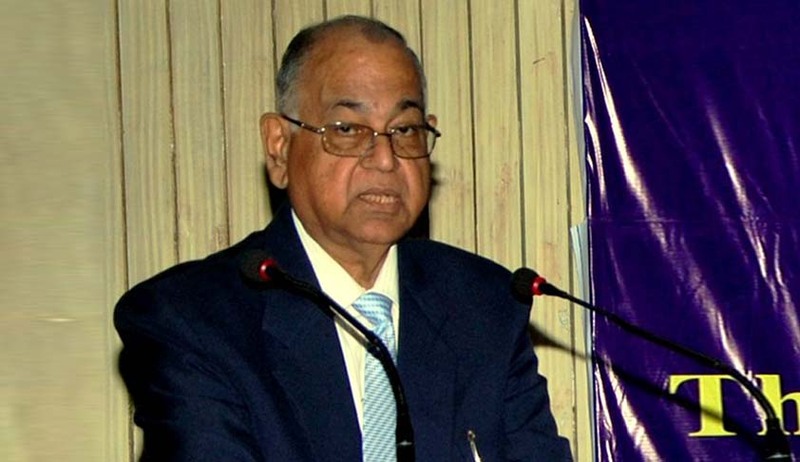 He was a member of the Indian legal team to the ICJ led by India’s Attorney-General, Soli Sorabjee, in Pakistan’s case against India (the Atlantique case) in 1999-2000. He was involved in the drafting of pleadings in at least four cases before the World Court (including the Nuclear Weapons case of 1996). Handbook of International Humanitarian Law and South Asia, "Humanitarian" Intervention Today, India on the Threshold of the 21st Century: Shape of Things to come, Human Rights in India: An Overview, Recent Trends in Space Law and Policy are some of the Books he authored. He had also served as ISRO Chair in International Space Law, as Jawaharlal Nehru Chair in International Environmental Law, and as Director of its Human Rights Teaching and Research Programme.